When I went to the Love Natural Love You exhibition at Olympia London in July, I spent quite a bit of time hovering around the Aviela stand. I'd heard of the brand before and loved the backstory - founder Patricia Monney used unrefined shea butter to heal her two year old daughter's ankle problems (yes, really) and so began a journey of discovery of the wonders of this multi tasking ingredient. Though I didn't purchase from Aviela at Olympia (their stand was pretty busy! ), fate seemed to intervene when Aviela got in touch a few weeks later to ask if I'd be keen to try their Shea Butter Black Soap. Spooky. The first thing I noticed about the black soap is that it's not actually soap at all. In fact, it is distinctly soap-less. 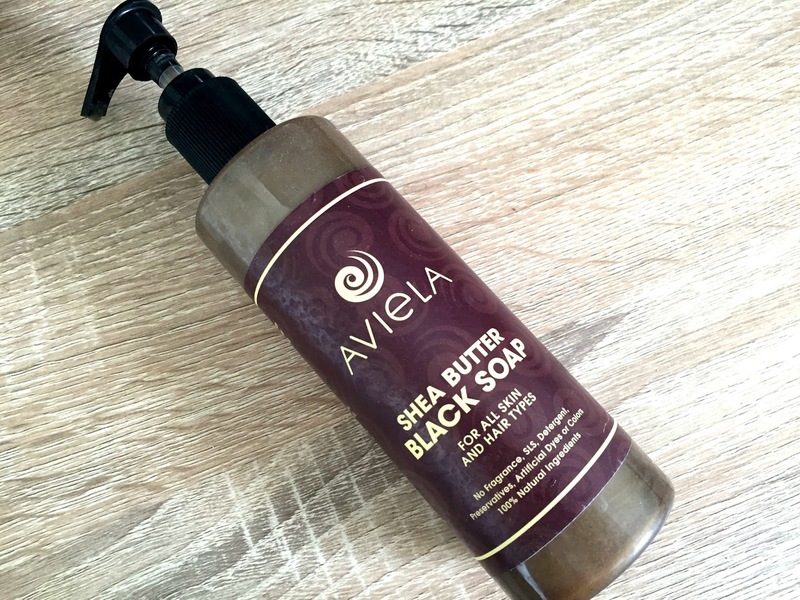 Aviela Shea Butter Black Soap contains; Shea Butter, Coconut Oil, Aloe Vera Juice, Palm Kernel Oil, Baobab Leaf Extract, Neem Leaf Extract, Water and Cocoa Pod Ash. 100% natural, black soap was traditionally used in Africa to gently wash babies and I totally get why. While it's mild, the black soap leaves skin feeling perfectly clean yet nicely moisturised and it really doesn't smell of very much at all. The soap is a multipurpose cleanser so I used it all over. I liked it on my body and loved it on my hair but I have to say I didn't enjoy washing my face with it at all. I tried using it as a facial cleanser twice and both times it felt a bit tight and uncomfortable. My face is sensitive to the most random things at random times so I will give it another go and see what happens. I've not written you off yet, black soap. The soap can definitely be used in place of shampoo too. I've washed my hair with it a few times and loved the way it added a bit of volume and shine - some people might enjoy the fact that it's virtually scentless too, especially if you don't like your hair to smell like flowers/ coconuts/ unicorn tears etc. 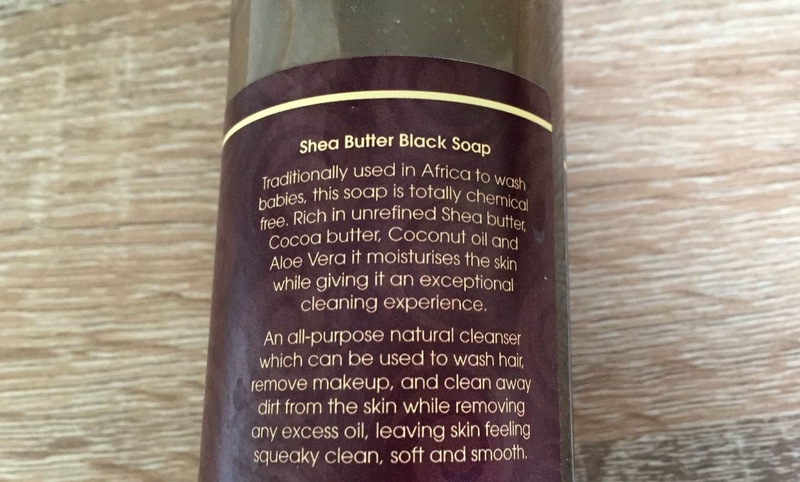 I also really like the look of the shea butter black soap - it's like molten gold so it feels quite luxurious to use, which is always a bonus in my book. Aviela Shea Butter Black Soap is £14 for 250ml from Aviela, Superdrug and LoveLula.